Companies new and old are focusing on how to market for success in 2017. New and improved marketing trends unfold and content (text, video or otherwise) still remains a central factor to all campaigns. We’ve rounded up some interesting and useful January content for marketing managers to sift through while they plan out the year ahead. Extensive research from Content Marketing Institute gives us some idea of where the content marketing industry is heading and how we can keep up. Content creation and distribution remains an important factor for any marketer, but what other challenges and trends can we expect to face this year? Influencer strategy, purpose-driven content, video, Snapchat, Facebook and Instagram, workflows and automation. All of these contribute to a well-rounded, modern content strategy fit to take on competitors and generate new leads. Content marketing can no longer be static. Get involved on social media and dig into the metrics you’d usually miss. Social media is working for businesses, but blogging will always be relevant. HubSpot looked at trends from 2014, 2015 and 2016 to figure out what works in blogging and how to use it as a successful tool in 2017. Click through to see the “secrets of the most successful bloggers” infographic, which is loaded with heaps of useful tips and statistics. Time spent writing blog posts and length of posts has increased, meaning businesses are putting more effort into creating content that is useful and valuable to visitors. 500 word posts just don’t cut it anymore, marketing managers. Provide substance, visuals and informative and authoritative opinions. Another infographic from HubSpot shows how video grabs attention and increases user interaction. Positive and enjoyable video content experiences increase the likelihood of customer conversion and sales. This particular medium is accessible and fresh, so it’s no wonder video ad spend makes up 35% of total online ad spending. All businesses can find some way to incorporate video into their content campaign. If you haven’t done it already, 2017 is the year to get this up and running. Take 18 minutes out of your day to check out Rand Fishkin’s SEO audit tips in this video to master organic search results. Fishkin breaks it down into 9 chapters of easy-to-follow SEO strategy specific to startups. Good SEO practice gives you an edge over competition and ensures your content is actually going to be found by potential leads and future customers. Startups and small businesses can also benefit from Gary Vaynerchuk’s social media marketing thoughts for 2017. Organic social media reach contains so much value and deserves more attention this year. Key statement: “In 2017, if you are a business or organisation of any kind that wants to be heard in the world, refocusing on the content you put out on Facebook, Twitter, Instagram, Snapchat, YouTube, Linkedin, Medium, and whatever else has the market’s attention at the time, is a huge factor.” Paid advertising is almost a reflex for most companies, but small and new businesses should be taking advantage of the potentially huge reach involved with free platforms. Fishkin and Vaynerchuk are two of our personal favourite inbound gurus at XEN Systems. Check out episode 59 of the HubShots podcast, where we discuss Vaynerchuk’s keynote from INBOUND 2016. Lots of useful takeaways here. Productivity is a huge buzzword this year, especially at HubSpot where they know the true value of efficient work and how to maintain it. They’ve consolidated all the information at their fingertips to create a list of 11 tips for the most productive quarter ever. Get the first few months right and maintain and strengthen the things that work for you and your workforce throughout the rest of the year. Productivity apps, planning, time-management and skill development are all in focus for 2017. HubSpot takes a look at marketing back in 2006 and provides some concise advice for marketers in 2017. 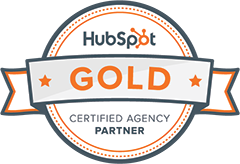 This is a great comparison article and shows how much marketers have learnt over the years, not just with HubSpot. The key takeaways are evidence for the main 2017 marketing trends we’ve already mentioned: video, social, content marketing acceleration and automation. All of the articles and sources mentioned in this post were featured on our Facebook, Twitter or Google+ feeds this month, so make sure to check those out for more interesting and helpful marketing posts. Watch out for a new Interesting Reading at the end of each month. This entry was posted in Marketing Manager, General, HubSpot, SEO, Social, Strategy and tagged inbound marketing, Interesting Reading, marketing 2017, marketing trends. A great post indeed. Thanks for sharing your thoughts with us. And I have read all of your posts, just wanted to say that your posts are simply amazing. I love to read your posts. Keep up the good work and I will be waiting for your next post.